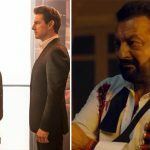 After passing the opening weekend on a tremendous note, Hollywood biggie Mission: Impossible – Fallout has a strong hold over the audience on weekdays as well across India. Despite having several new & existing Hindi movies in parallel, the highly anticipated American offering remained super strong throughout. 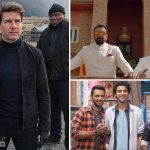 Directed by Christopher McQuarrie, the sixth installment of the popular action spy thriller franchise Mission: Impossible has got succeed to hit the target right and impressed everyone. For its solid plot, high octane actions & jaw-dropping stunts, it has received rave reviews from the critics as well as the audience. 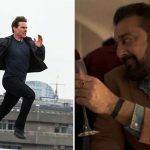 Due to the huge initial hype, Mission: Impossible – Fallout opened on an excellent note and registered the third highest Hollywood opening of the year at the Indian box office with 10.53 crores. Over the weekend, it took a remarkable growth and raked the business of 12.99 crores on Saturday & 20.24 crores on Sunday. After a weekend, the total collection of Tom Cruise starrer was recorded at 43.76 crores nett (56.10 crores gross). Now Paramount Pictures’ presentation has entered on weekdays with a maintained pace. On Monday, with a drop of 45% than Friday, it minted 5.79 crores and raised 4 days total collection to 49.55 crores nett (63.52 crores gross). 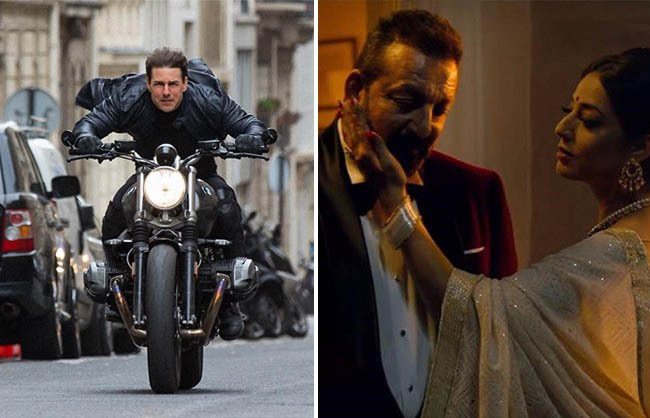 On the other hand, new Hindi release Saheb Biwi Aur Gangster 3 has received mixed reviews from the critics and got failed to pull enough crowd toward theaters. 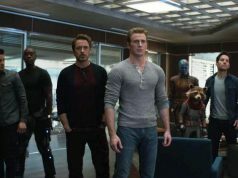 Despite being backed by the popular franchise, it did the business of 4.40 crores in the opening weekend that included 1.25 crores on Friday, 1.55 crores on Saturday & 1.60 crores on Sunday. On Monday, Tigmanshu Dhulia’s directorial as usual faced an abrupt drop in footfalls and minted the amount of 0.60 crore. With this, its 4 days total collection has become 5 crores nett at the domestic box office. While Raghav Juyal, Dharmesh D & Punit Pathak’s Nawabzaade has collected 2.30 crores in 4 days.